The Boeing BBJ (Boeing Business Jet) is primarily a 737 commercial airframe with modifications to provide for private jet service. 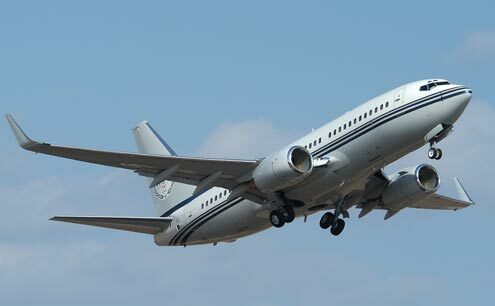 The BBJ1 is based on a 737-700 airframe, with elements from the 737–800. The BBJ2 and BBJ3 are based on the 737–800 and 737-900ER series, respectively. These aircraft usually seat between 25 and 50 passengers within a luxurious configuration.